We found this recipe recently on Pinterest, and we’d been waiting to try it on a Sunday night since it seemed a little more involved than a one-pot dish that we might make on a work night. Craig got the giant peppers at our international farmer’s market in Smyrna, and I highly recommend shopping somewhere like that for produce… so much cheaper than a regular grocery store! 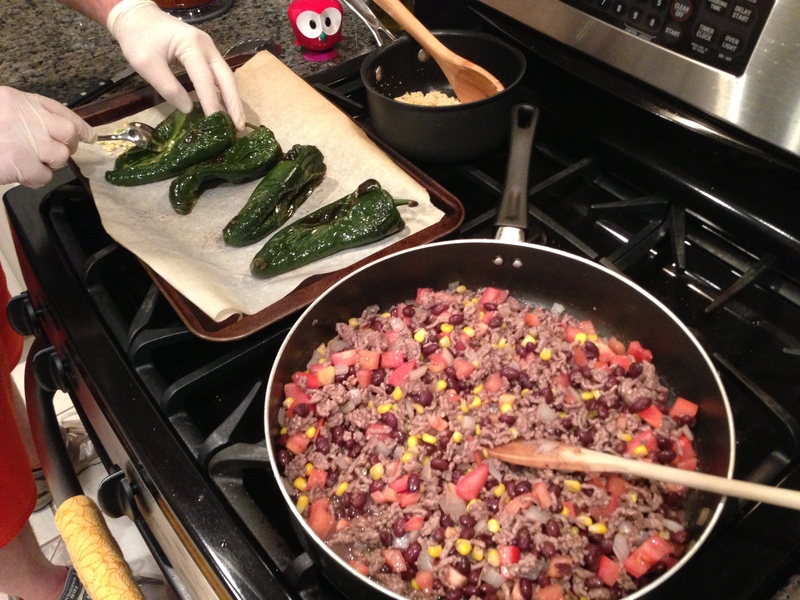 I’d also recommend wearing rubber gloves when handling the peppers to reduce the risk of getting anything in your eyes. It’s happened to Craig before, and I’m surprised he didn’t end up having to wear an eye patch. The dish was actually less complicated than we anticipated, and it was delicious. Just the right amount of spice, and the goat cheese really added a nice balance to the mixture. 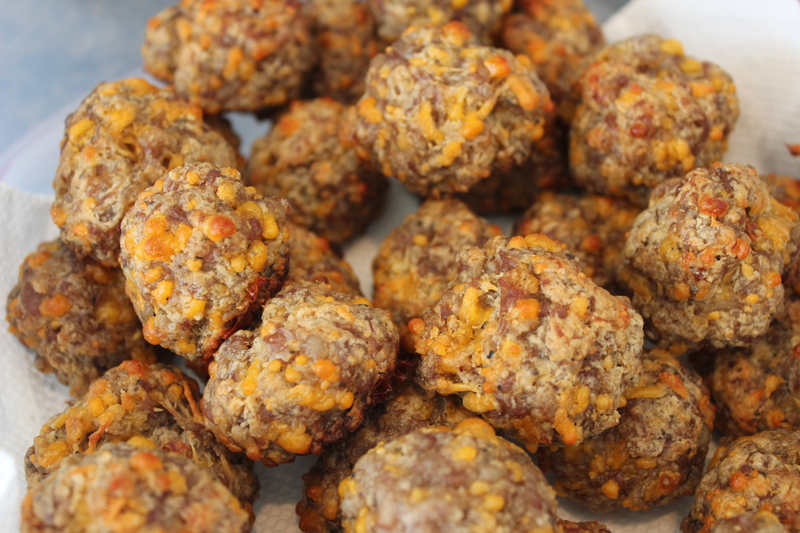 The recipe we used was vegetarian, but we chose to add in ground beef. With the beef added in, we had TONS of filling leftover. 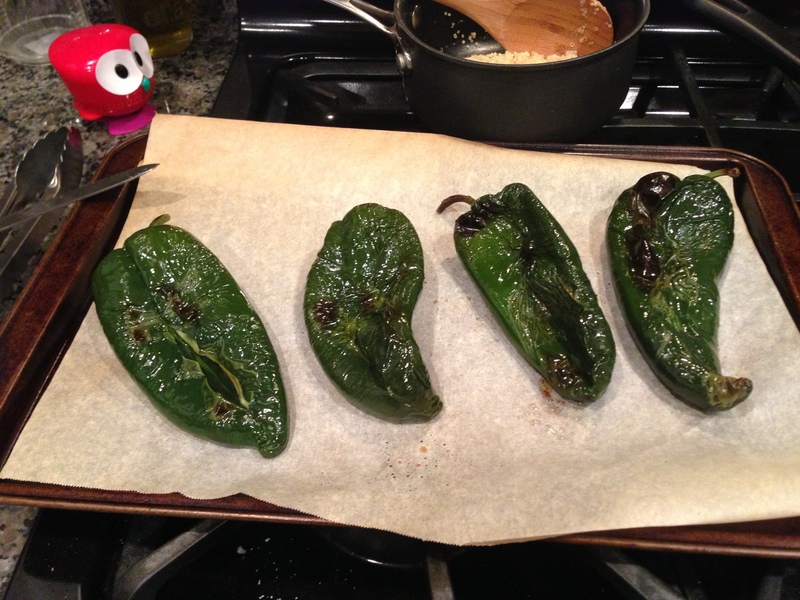 So next time, we’ll have to buy more peppers and invite some dinner guests over! Meanwhile, bring 1/3 cup water and 1/3 cup vegetable stock to a boil in a medium saucepan (you use part vegetable or chicken stock for quinoa to infuse extra flavor, but it’s not necessary if you don’t have any open stock, you can use 2/3 cup water instead). Add quinoa, cover, and reduce heat to medium-low to simmer. Cook until tender, about 15 minutes. Remove from heat and let stand 5 minutes, then remove lid and fluff with a fork. In a large saucepan or deep skillet, heat 1 tablespoon oil over medium-high heat. 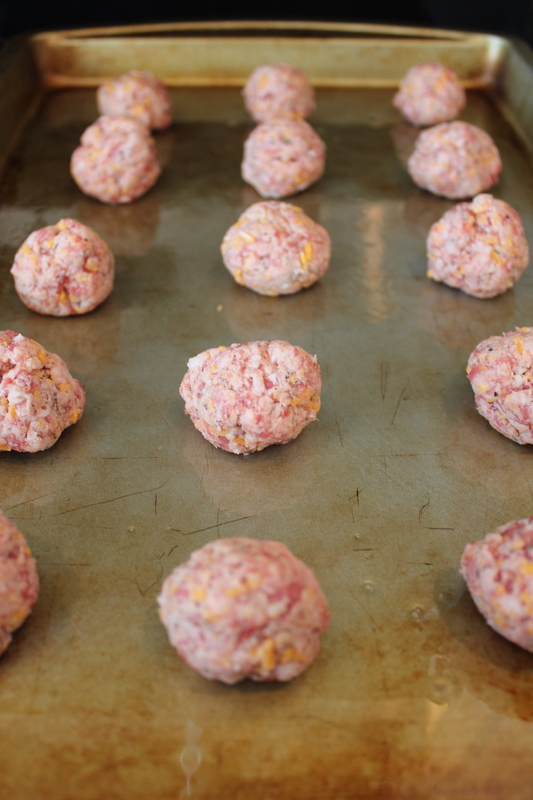 Add ground beef and saute until brown. Add onion and cook until soft, about 5 minutes. 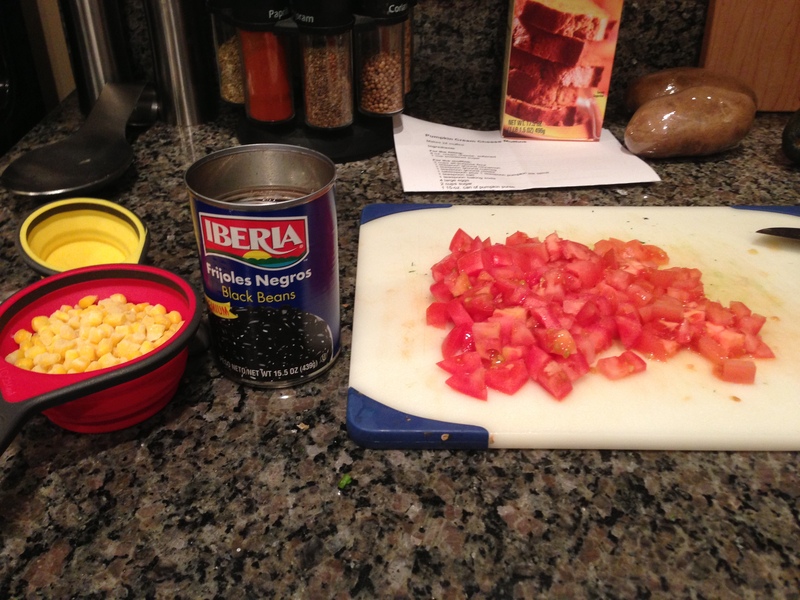 Add corn, black beans, tomato, and cooked quinoa and stir until heated through, about 2 minutes. Add 2 ounces goat cheese and stir until it’s melted and completely mixed in. Season with salt and pepper to taste. 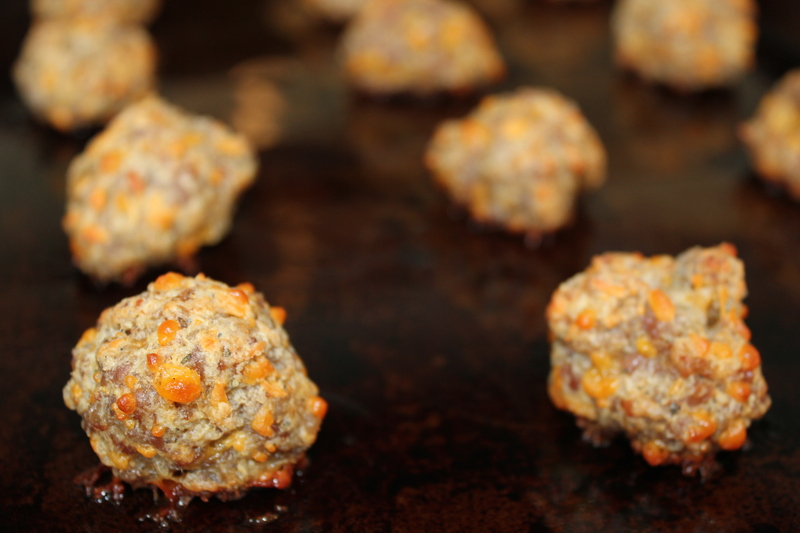 Pour chipotle sauce into a 9×13-inch baking dish. 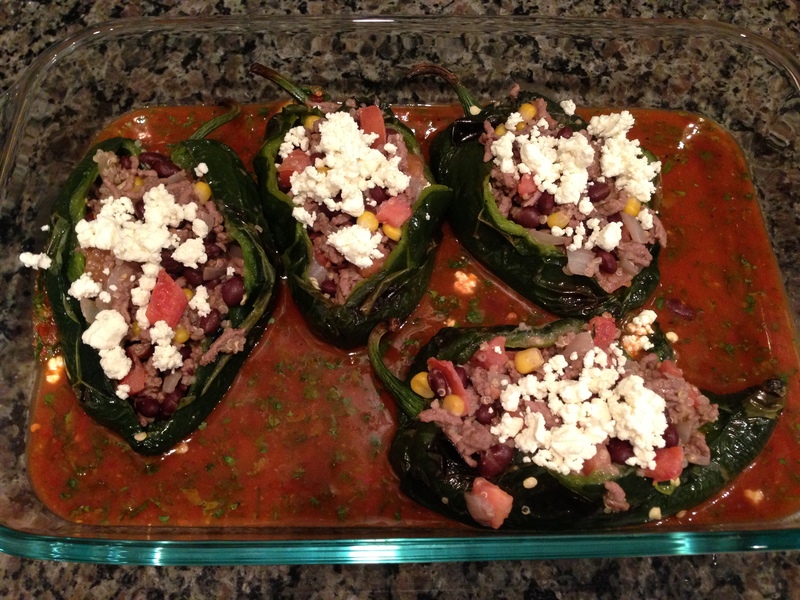 Transfer stuffed peppers to the dish, and dot with remaining 2 ounces goat cheese. 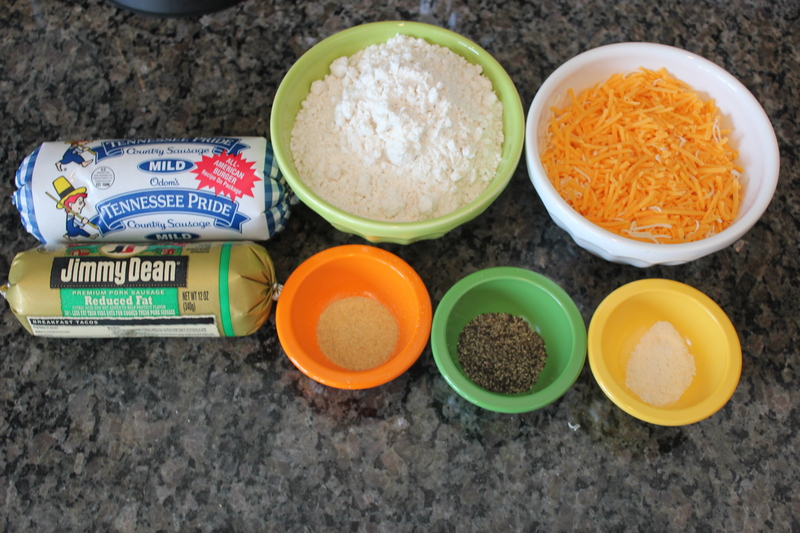 Bake until cheese is golden, 15 to 20 minutes. Cool in pan 10 minutes and serve warm, sprinkled with additional chopped cilantro if desired. 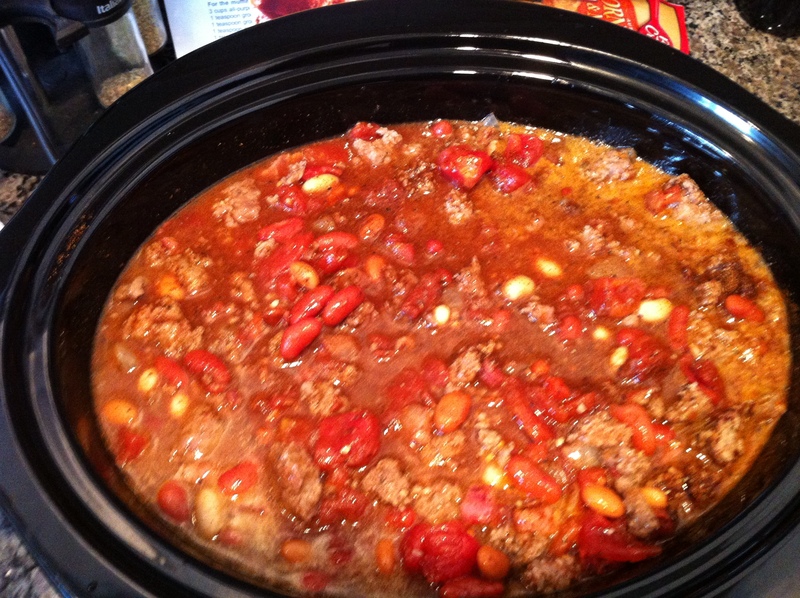 Craig and our friend Hunter found this chili recipe years ago and have since perfected it to be meat-filled and oh-so-delicious, so I thought it would be perfect to share on this extra cold day! Dice and cook bacon in large skillet. 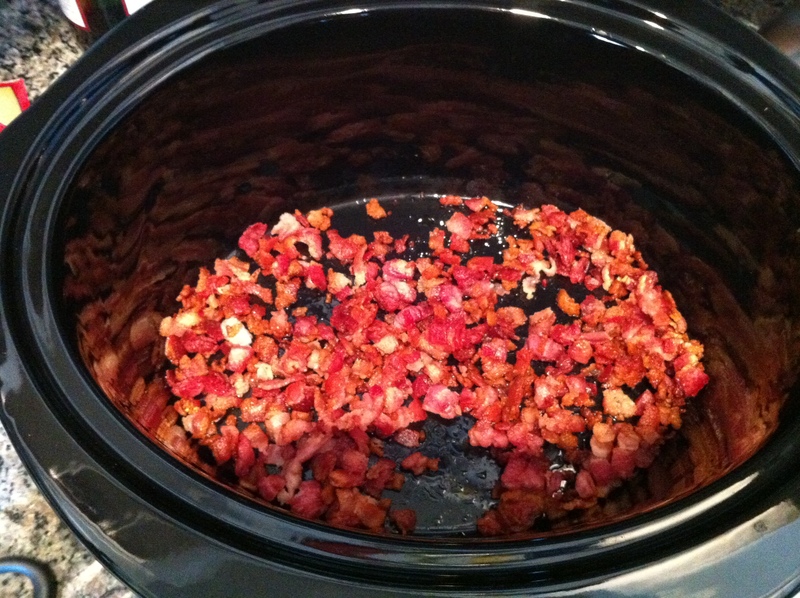 Remove and place in a large pot or crockpot. Leave grease. Dice onion and cook with ground beef, sausage, and garlic in the bacon grease. Add 1 beer about half-way through cooking. Remove to large pot or crockpot. Add diced tomatoes, beans, spices, and 1 beer to crockpot. Voila! All done. Best chili ever. Here’s the finished product! I love this bowl…. we had them as kids and ate our cereal out of them many mornings before school. 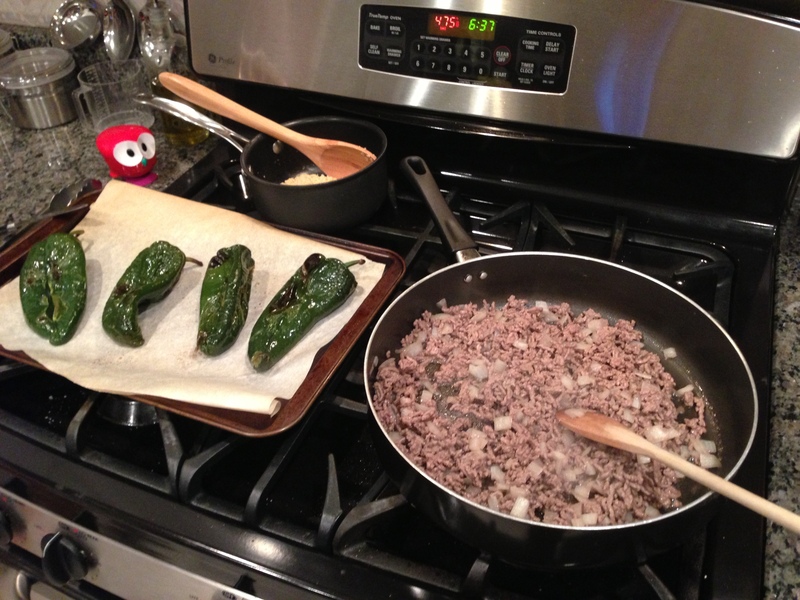 And although the idea of chili for breakfast seems a little gross, I still think it’s cute. We made cornbread in a cast iron skillet for this meal, but my favorite side is a nice, hot grilled cheese… oh, and Fritos on top! mmm!